Pat Willard’s enticing exploration of the exotic spice saffron describes its journey from the ancient Sumerian kingdoms, Persia, and the island of Crete to the Pennsylvania Dutch in America. Through a beautiful blend of personal stories, myths, history, quotations, ancient remedies, and modern recipes, Willard takes us from Cleopatra’s bath to the medieval court of France and beyond. 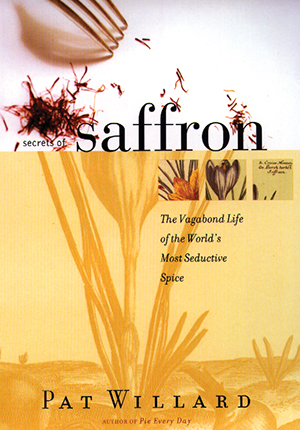 A practical guide to buying, using, and even growing saffron as well as a cookbook containing recipes ranging from Paella Valenica to Saffron Consommé, this magical account is perfect for anyone who has ever been teased by this seductive spice.